Africa is an enormous continent, and it offers countless destinations worth exploring. In a trip through Africa, you can meet the Masai Mara people in Kenya, look out onto the plains of the Serengeti or relax on a tropical island. Africa is diverse and beautiful, and there is no end to what you can see, do and explore there. 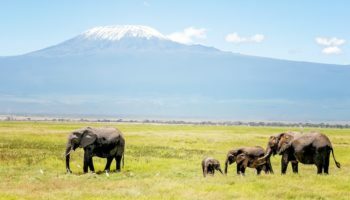 As you plan your next African journey, be sure to include at least one from this list of best places to visit in Africa as your schedule will allow. On the edge of the High Atlas Mountains in Morocco is the incredible city of Ait Benhaddou. Also known as Mud Brick City, Ait Benhaddou is an ancient fortified stop that was a haven for travelers going between the Sahara and the city of Marrakesh. On a visit to Ait Benhaddou, you can tour the mud buildings, explore the ancient Granary at the top of the hilltop city and even tour the Mausoleum of Ben-Haddou. 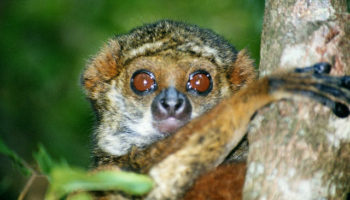 Just off the coast of Mozambique, and in the waters of the Indian Ocean, is the island of Madagascar. 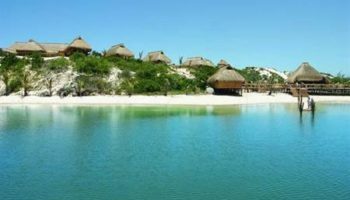 While the island nation has a lot to do, see and explore, a highlight is undoubtedly the Isalo National Park. Within the park, you will have access to a wide range of terrain types. Be prepared to spot enormous canyons, lush palm-tree oases and even unique sandstone formations. The best way to see Isalo National Park is on a guided trek, and many people opt for overnight camping to enhance the once-in-a-lifetime experience. The archipelago off the coast of Tanzania is semi-autonomous, and it is a truly unique destination in Africa. 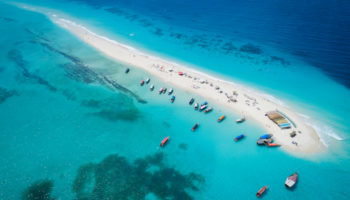 Zanzibar boasts an interesting blend of architecture, and you’ll find Arabic, Middle Eastern, Moorish and Indian styles represented in its cities. 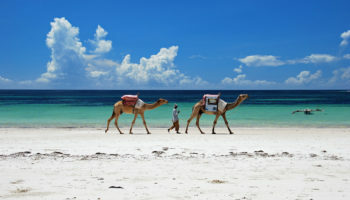 There are many world-class beaches to choose from, and Zanzibar also boasts a very vibrant and well-preserved history. Be sure to spend time in the capital city of Stone Town, home to several fantastic museums and the 17th century Old Fort. Probably the most historically and architecturally interesting city in all of Mali is Djenne. 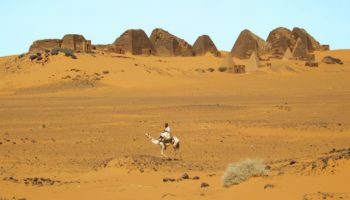 The city served as an important element of the trans-Saharan gold trade, and it is still a regional hub thanks to its impressive weekly market that gathers residents from all the surrounding areas. By far the most amazing landmark in the city, however, is the Great Mosque, which is the largest mud brick building in the world. The Islamic Mosque dates back to the 13th century, although it wasn’t officially completed until 1907. One of the largest bodies of water in Africa is Lake Malawi. As the name suggests, much of the lake is within the borders of Malawi, but it also stretches into the countries of Tanzania and Mozambique. If you want to see Lake Malawi, one of the best ways to do so is with a visit to the Lake Malawi National Park, located on the southern end of the lake itself. There are miles of hiking available in the park, not to mention countless vantage points where you can admire the lake and take spectacular photographs. The second largest game reserve in Namibia is the Etosha National Park. It was created around the Etosha salt pan, which many animals gravitate to. As a result, the national park is a spectacular spot for seeing wildlife. 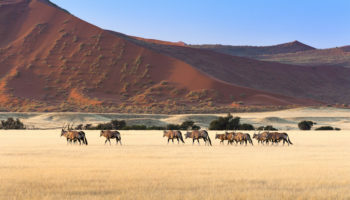 Be sure to bring along binoculars, because you’ll be able to see zebras, springbok, lions, giraffes, elephants and more. Three rest camps are designated for visitor accommodation, allowing you to see these amazing animals 24/7. The city of Lalibela in Ethiopia is known as a city of pilgrimage. Lalibela boasts 11 monolithic, rock-cut churches, each of which is fascinating to explore. Most residents are Egyptian Orthodox Christian, and most of the churches were constructed in the 12th and 13th centuries. If you only have time for a tour of one church in Lalibela, make it Bet Giyorgis, which is shaped like a cross and carved entirely from rock in a spectacular fashion. Near the eastern border of the Democratic Republic of Congo, and just minutes away from Uganda, is the Virunga National Park. Virunga was founded in 1925 by the Belgian King Albert, and it was Africa’s very first national park. While poaching was a serious problem in the park in the past, now it is a growing tourism destination. The Virunga National Park is most famous for its mountain gorillas, but you can also see the Tongo chimpanzees or even trek to the summit of the Nyiragongo Volcano to see the world’s largest lava lake glowing. The incredible Fish River Canyon in Southern Namibia is one of the world’s largest canyons, and it is a spectacular, breathtaking scene to behold. As one of the Natural Wonders of Africa, Fish River Canyon is one of the nation’s most popular attractions. You can trek along the Fish River Canyon Trail if you’re up for adventure, or you can take a scenic overhead flight to admire the multicolored rock canyon contrasted with the bright blue water of the river. While Merzouga is a small village, it is a popular destination for travelers in Morocco. Located in the Sahara Desert, Merzouga is surrounded by enormous sand dunes known as the Erg Chebbi. Much of the local population is Berber, a group that is traditionally nomadic. If you visit, you can join a camel safari into the dunes to see the traditional Berber lifestyle. In addition to checking out the nomadic desert lifestyle, you can try birdwatching in the spring, when a wide range of birds migrate through the area. The second largest of the tropical islands that make up the Seychelles, located in the heart of the Indian Ocean, is Praslin. 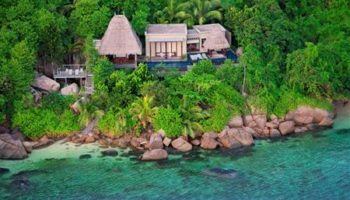 The island is dotted with a few luxury resorts, but the two main attractions on the island are Anse Lazio and the Vallée de Mai Nature Reserve. Anse Lazio is a gorgeous beach with clear water and amazing opportunities for snorkeling. The Vallée de Mai Nature Reserve is a palm forest that is preserved and serves as the home to countless reptiles and birds, including the very rare Seychelles Black Parrot. Where the Okavango River meets the basin of the Kalahari, you’ll find the Okavango Delta. The delta is breathtaking to behold, and the source of water means that it is almost always surrounded by wildlife. The Okavango Delta is a popular spot for safaris, and you can also enjoy some amazing scenery. A fantastic and unforgettable way to explore the Okavango Delta is with an aerial tour by airplane, allowing you to see the meandering Okavango River as well as some of the larger game animals. Another of the incredible islands in the Indian Ocean, located just off the Eastern Coast of Africa, is Mauritius. Known for beaches and tropical weather, Mauritius is also home to the magnificent Black River Gorges National Park. The park is relatively new, founded in just 1994 to protect the natural beauty of the island. When you visit, you’ll be able to hike along gorgeous trails and see a wide range of endemic wildlife and beautiful waterfalls. 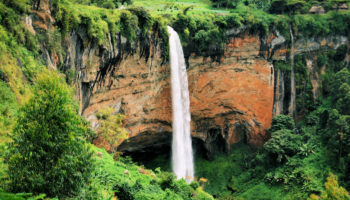 In the far north of Tanzania, close to the Kenyan border, is the famed Mount Kilimanjaro. The peak is the tallest in Africa, and the tallest free-standing mountain in the world, making it a bucket-list destination for many travelers. While the very fit can trek to the summit of Mount Kilimanjaro, there are also other ways to explore the area. There are several shorter, easier hikes around the base of the mountain along with some gorgeous waterfalls and plenty of amazing scenery. If you are interested in seeing rare wildlife, then the Bwindi Impenetrable National Park in Uganda should definitely be on your itinerary for an African adventure. With a permit from the Uganda Wildlife Authority, you can hike from the two hubs of Buhoma to Nkoringo and kayak on gorgeous lakes. The main attraction, however, is tracking gorillas. The Bwindi Impenetrable Forest is one of the best places in the world to see mountain gorillas in their natural habitat. The best known of the many parks located in South Africa is the Kruger National Park, named after former South African President Paul Kruger. The park has three primary goals: Conservation, education and tourism. While it is possible to purchase a permit to enter the park and then drive on your own, most visitors prefer to join a guided tour or safari. 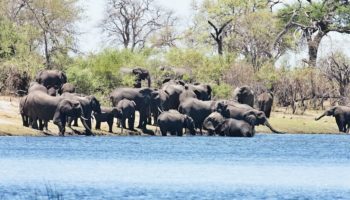 Kruger National Park’s top attractions include the Crocodile River view point, the Iron Age village known as Masorini and the abundance of the big five animals: Lion, cape buffalo, rhinoceros, African elephant and leopard. After Rabat and Casablanca, Marrakech is the largest city in Morocco. It is the most popular destinations in the country, because it is such an exciting city with an ancient history and amazing architecture. 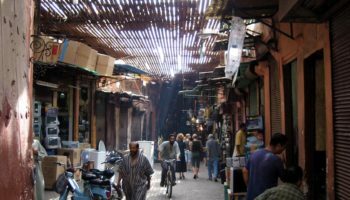 The historic district of Marrakech is called the Medina, and its main square is the bustling Djemaa El-Fna, where you can watch snake charmers and acrobats while strolling through shops and snacking on local culinary delights. You can also tour souks, or outdoor markets, and then relax at a local hammam, or spa. The ancient city of Luxor in Egypt is divided into halves by the Nile River. On the East Bank, you’ll find the famed Luxor Temple as well as unique museums like the Luxor Museum and the Mummification Museum. Across the Nile on the West Bank, you’ll be able to explore both the Valley of the Kings and the Valley of the Queens. The Valley of the Kings is one of the most iconic destinations in Africa, as it served as the burial place of many Egyptian kings. The nature preserve known as the Ngorongoro Conservation Area is one of Tanzania’s many attractions. The area is named after the Ngorongoro Crater, a volcanic caldera in the center of the preserve. The crater is a highlight, and so is the steep ravine called Oldupai Gorge. The conservation area is also one of the best places to visit in Africa for nature lovers, and just some of the wildlife you might spot while visiting can include the African buffalo, black rhinoceros, hippopotamus, blue wildebeest and even the occasional Tanzanian cheetah. The capital city of South Africa is Cape Town, an extraordinary, historic and vibrant city named for its location on the Cape of Good Hope. To get to know the history of Cape Town, be sure to explore incredible landmarks like the colorful homes in the Bo-Kaap neighborhood as well as Robben Island, where political prisoners like Nelson Mandela were once held. One of the top natural attractions is Table Mountain, which offers breathtaking views over the Cape of Good Hope as well as the sprawling city. You can hike up Table Mountain or take a ride on the cable cars. Africa is inhabited by many different people groups, but few as are fascinating as the Masai. 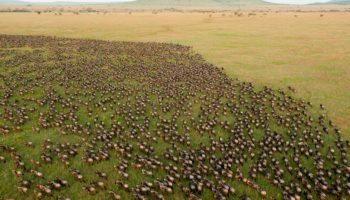 This group owns the Masai Mara National Reserve toward the southern part of Kenya, and every year thousands of tourists come to explore the scenery and the wildlife. In addition to seeing everything from rhinos to lions, you can visit a local village to learn more about the Masai Mara culture, cuisine, customs and dress. Right on the border between Zambia and Zimbabwe is Victoria Falls, an incredible waterfall on the Zambezi River. In Zimbabwe, the falls as well as the surrounding town is known as Victoria Falls. Across the border in Zambia, the falls are called Mosi-oa-Tunya. From December to March, the falls are more dramatic because it is also the rainy season, but the rest of the year can offer a less obscured view. In addition to admiring the views, you can enjoy Victoria Falls by canoeing or rafting near its base or having a romantic sunset cruise beneath the falls. In Northeast Tanzania is the Serengeti National Park, one of Africa’s most incredible conservation areas. The name Serengeti means endless plains, and that is exactly what you’ll find within the park. More than a million wildebeest, and over 200,000 zebras, migrate through the plains each year. When you visit the Serengeti National Park, you will be able to see wildlife like cheetahs, leopards, giraffes, buffalo, gazelles and so much more. Hot air balloon trips as well as photo safaris are both incredible ways to make the most of the Serengeti. If you have always wanted to see the pyramids in Egypt, then make Giza your next travel destination. Giza is the gateway to Egypt’s most iconic structures, and it is very close to the city of Cairo. While in Giza, you can step inside the Great Pyramid of Khufu, now the last remaining structure of the Seven Ancient Wonders of the World. You can also tour the Sphinx, several smaller pyramids and a number of incredible museums helping to explain the role of these pyramids and their significance in Egyptian history.